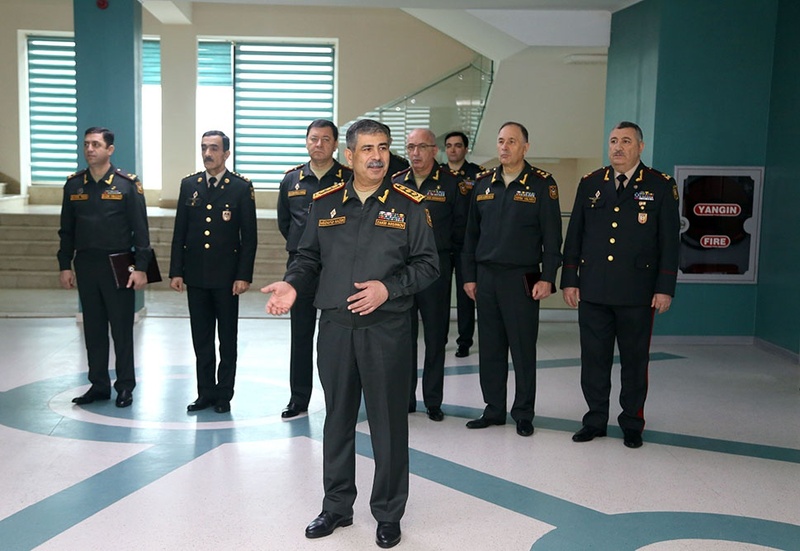 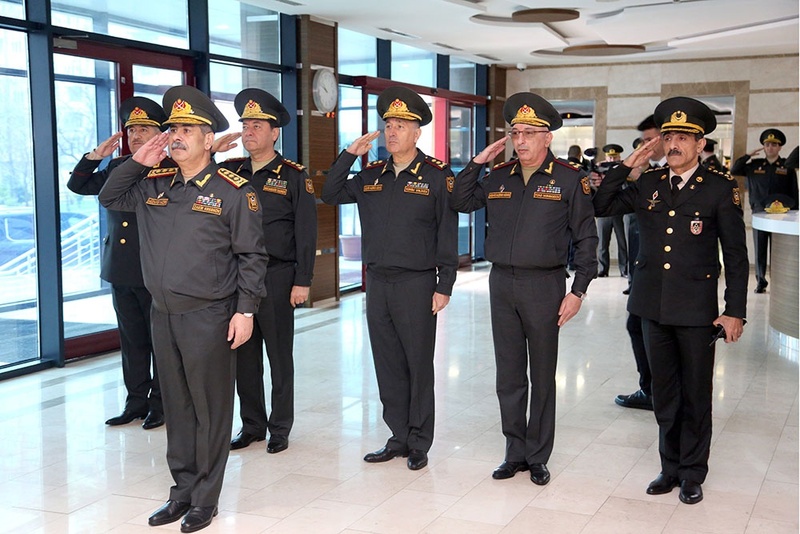 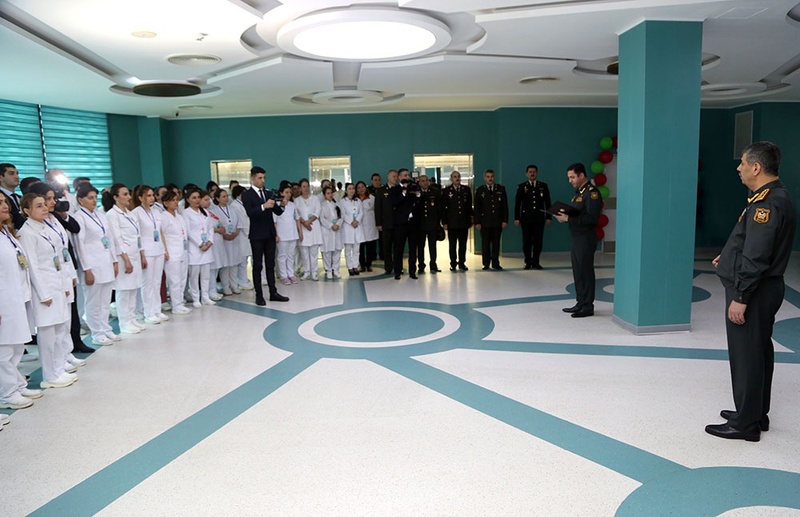 The leadership of the Ministry of Defense visited the Main Clinical Hospital of the Armed Forces on March 20, on the occasion of the Novruz holiday. 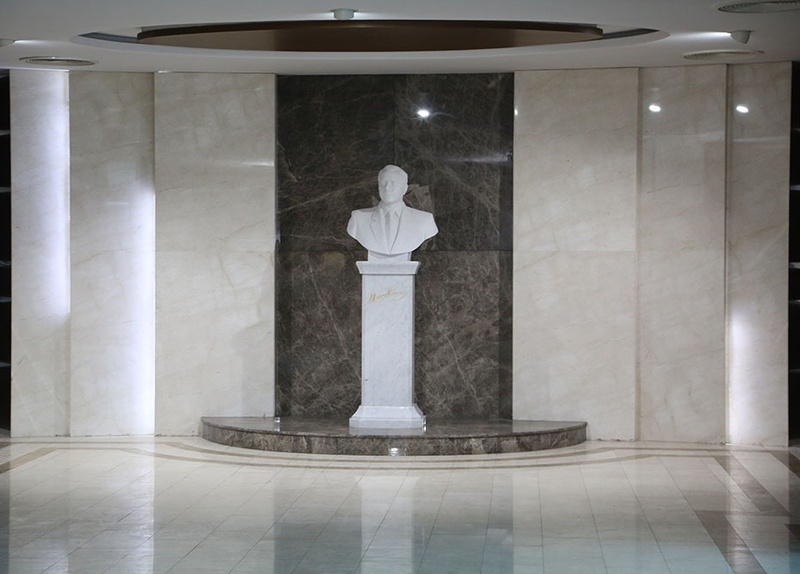 The leadership of the Ministry paid tribute and laid flowers at the bust of national leader Heydar Aliyev. 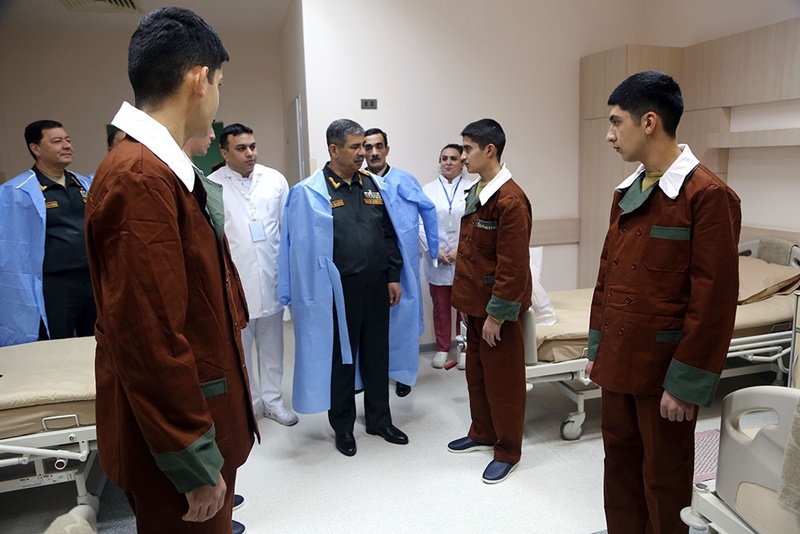 Minister of Defense Colonel General Zakir Hasanov met with the servicemen at the hospital, and inquired about their health. 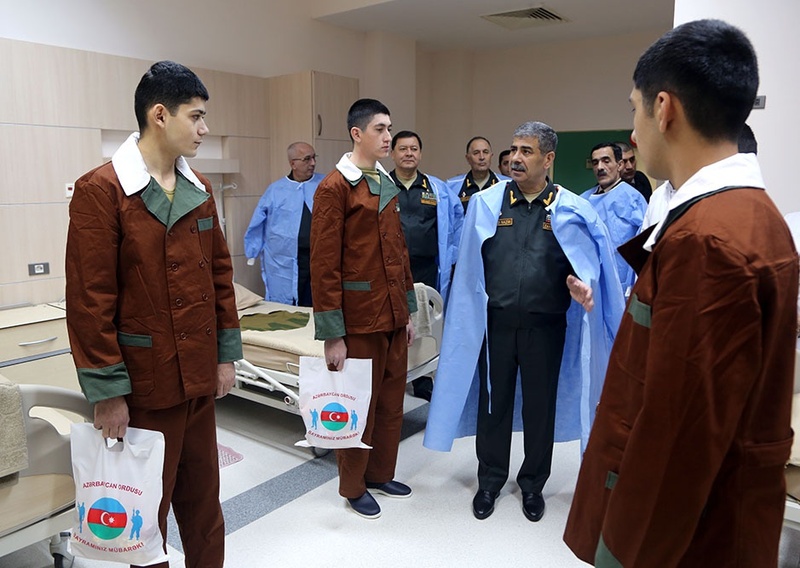 The Minister has presented gifts to the servicemen and wished them a speedy restoration to health and a return to duty areas. 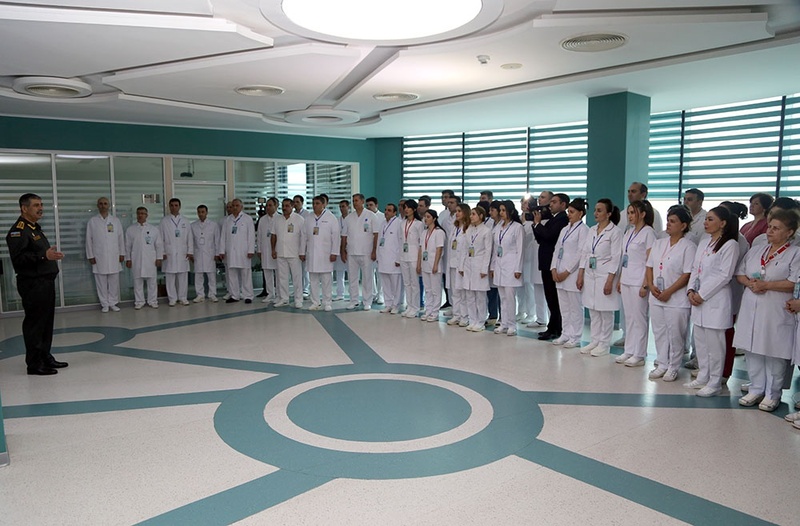 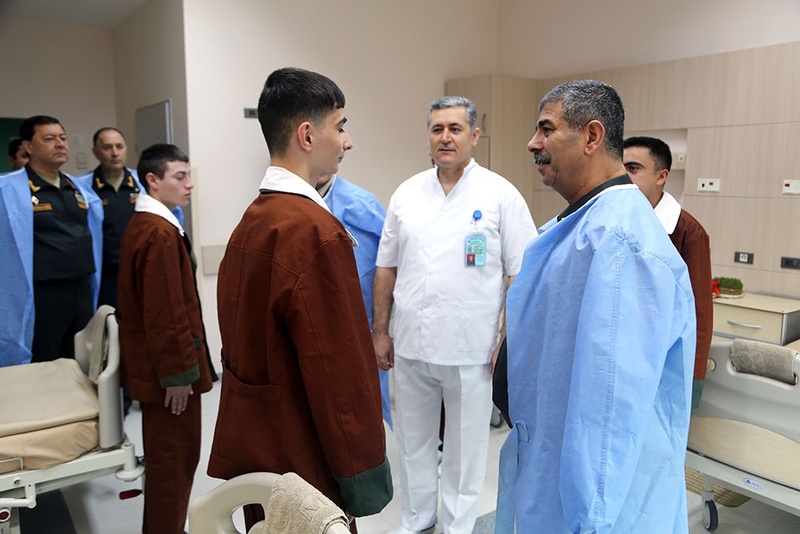 Minister Hasanov also met with the personnel of the hospital, congratulated on the occasion of the holiday, wished them success and gave relevant instructions. 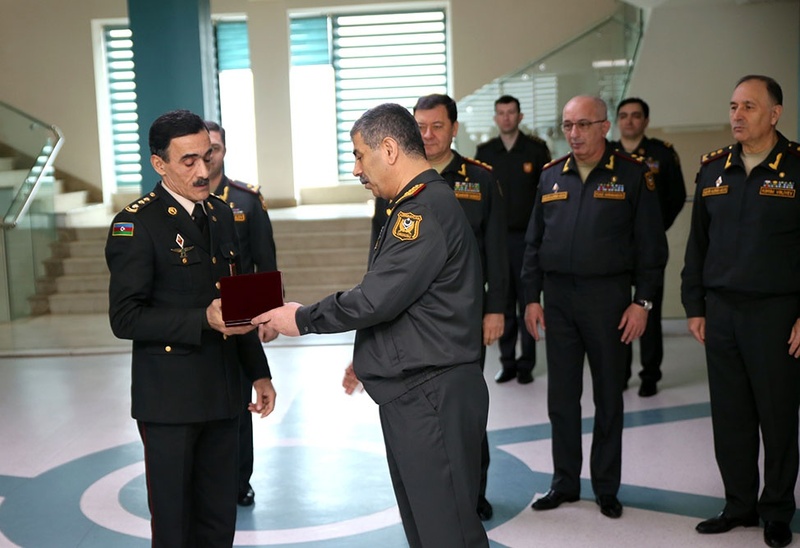 At the end of the meeting, the head of the hospital, Colonel of Medical Service Tofiq Tagiyev was awarded the Medal "For Distinction in Military Service" 3rd degree by order of the Minister of Defense.